"Oxford United" redirects here. For other uses, see Oxford United (disambiguation). Oxford United Football Club is a professional football club based in the city of Oxford, Oxfordshire, England. The team play in League One, the third tier of English football. The chairman is Darryl Eales, the head coach is Michael Appleton and the team captain is John Lundstram. Founded in 1893 as Headington United, Oxford United adopted their current name in 1960. They joined the Football League in 1962 after winning the Southern Football League, reaching the Second Division in 1968. After relegation in 1976, between 1984 and 1986 the club earned successive promotions into the First Division, and won the League Cup in 1986. Oxford were unable to enter the 1987 UEFA Cup because of the UEFA ban on English clubs in European competitions. Relegation from the top flight in 1988 began an 18-year decline which saw the club relegated to the Conference in 2006. This was the first time in the history of English football that a team that had won a major trophy was relegated from the Football League. After four seasons, Oxford were promoted to League Two in 2010 via the playoffs, and six seasons later were promoted to League One, after finishing 2nd in League Two in 2016. Ron Atkinson holds the club record for the most overall appearances with 560, John Shuker holds the record for the most appearances in the Football League with 478 and Ron's brother Graham Atkinson holds the record for the most goals scored with 107. 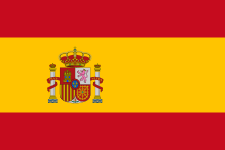 In total, nineteen players have made international appearances while playing for the club. United's home ground is the Kassam Stadium in Oxford and has a capacity of 12,500. United moved to the stadium in 2001 after leaving the Manor Ground, their home for 76 years. Swindon Town is the club's main rival. Oxford United were formed as Headington in 1893, adding the suffix United in 1911 after merging with Headington Quarry. The club was founded by Rev. John Scott-Tucker, the vicar at Saint Andrew's Church in Headington, and a local doctor named Robert Hitchings. A football team was a way for the cricketers of Headington Cricket Club to maintain their fitness during the winter break. The first football match played was against Cowley Barracks. Headington had no regular home until 1913, when they were able to purchase Wootten's Field on London Road, but this was redeveloped in 1920, forcing the club to move. A permanent home was found in 1925, when they purchased the Manor Ground site on London Road. The facility was used as a cricket pitch in the summer, and a football pitch in the winter. In 1899, six years after their formation, Headington United joined the Oxfordshire District League Second Division, where they competed until the outbreak of the First World War; the Second Division was renamed the Oxfordshire Junior League after the resumption of football in 1919. In 1921 the club was admitted into the Oxon Senior League. The first season included a 9–0 victory, with eight of those goals coming from P. Drewitt. This remains a record for the highest number of goals scored by an Oxford player in a first-team match. At this time a small rivalry existed with Cowley F.C., who were based a few miles south of Headington. During a league game on May Day, the referee gave two penalties to Cowley; supporters broke past security and players, resulting in the referee being "freely baited". The first FA Cup tie played was in 1931, against Hounslow F.C. in the Preliminary Round, ending in an 8–2 defeat for Headington. United spent two seasons in the Spartan League in 1947 and 1948, finishing fifth and fourth respectively. It was around this time that the cricket team left the Manor and moved to new premises near Cowley Barracks. A move into professional football was first considered during the 1948–49 season. Vic Couling, the president at the time, had applied for Headington to become a member of a new Second Division in the Southern League. Other teams that applied included Weymouth, Kettering Town and future league side Cambridge United. Although the plans were postponed, the First Division was going to be expanded by two clubs; Weymouth and Headington were elected. It was later discovered that Llanelli had just one vote fewer than Headington. Oxford played its first season in the Southern League in 1949, the same year they turned professional. Former First Division forward Harry Thompson was hired as manager. In 1950, Headington United became the first professional club in Britain to install floodlights, and used them on 18 December against Banbury Spencer. They initially played in orange and blue shirts, but changed to yellow home shirts for the 1957–58 season. The reason for the change is unknown. In 1960, Headington United was renamed Oxford United, to give the club a higher profile. Chart of historic table positions since election to the Football League. Two years later, in 1962, the club won the Southern League title for the second successive season and was elected to the Football League Fourth Division, occupying the vacant place left by bankrupt Accrington Stanley. Two successive eighteenth-place finishes followed, before promotion to the Third Division was achieved in 1965. A year before the promotion, Oxford became the first Fourth Division club to reach the sixth round of the FA Cup, but have not progressed that far in the competition since. Oxford won the Third Division title in 1967–68, their sixth season as a league club, but after eight years of relative stability the club was relegated from the Second Division in 1975–76. In 1982, as a Third Division side, Oxford United faced closure because of the club's inability to service the debts owed to Barclays Bank, but were rescued when businessman Robert Maxwell took over the club. In April 1983, Maxwell proposed merging United with neighbours Reading, to form a new club called the Thames Valley Royals, to play at Didcot. Jim Smith would have managed the club and been assisted by Reading boss Maurice Evans. The merger was called off as a result of fans of both clubs protesting against the decision. Furthermore, the Reading chairman stepped down and was replaced by an opponent of the merger. Maxwell also threatened to fold the club if the merger did not go through. Oxford won the Third Division title after the 1983–84 season under the management of Jim Smith, who also guided them to the Second Division title the following year. This meant that Oxford United would be playing First Division football in the 1985–86 season, 23 years after joining the Football League. Smith moved to Queens Park Rangers shortly after the promotion success, and made way for chief scout Maurice Evans, who, several seasons earlier, had won the Fourth Division title with Reading. The Milk Cup, which is still displayed in the club's trophy cabinet. Oxford United finished eighteenth in the 1985–86 First Division, avoiding relegation on the last day of the season after defeating Arsenal 3–0. They also won the Football League Cup, known at the time as the Milk Cup under a sponsorship deal. As winners, Oxford would have qualified for the following season's UEFA Cup, had it not been for the ban on English teams that had resulted from the previous year's Heysel Stadium disaster. After beating fellow First Division side Aston Villa in the semi-final 4–3 on aggregate, Oxford faced Queens Park Rangers in the final, which was held at Wembley Stadium on 20 April 1986. The game finished 3–0 with goals from Trevor Hebberd, Ray Houghton and Jeremy Charles. After the match long-serving physiotherapist, 72-year-old Ken Fish, collected one of the winners medals, instead of manager Maurice Evans. Evans felt that Fish deserved the medal for his service to the club, and so gave him his, in what was seen as an "unprecedented gesture". It was the last time the League Cup was played under the name "Milk Cup", with sponsors Littlewoods taking over the following season. The 1986–87 season saw Oxford United narrowly survive relegation and stay in the First Division. Robert Maxwell resigned as chairman in May 1987, to take over at Derby County, handing the club to his son Kevin. Maurice Evans was sacked in March 1988 with Oxford bottom of the First Division. Former Liverpool defender Mark Lawrenson was named as Oxford's new manager, but was unable to prevent relegation to the Second Division. He was sacked three months into the 1988–89 Second Division campaign after a dispute with the chairman over the £1 million sale of striker Dean Saunders to Derby County; Derby were owned by Robert Maxwell, father of the then Oxford United chairman, Kevin Maxwell. Following Robert Maxwell's death in 1991, his personal estate, including the club, became insolvent. After a long search for a new owner, during which BioMass Recycling Ltd took over the club, Brian Horton was named as Oxford's new manager. He remained in charge until September 1993, when he moved to Manchester City in the recently formed FA Premier League. Horton led United to mid-table finishes during his management spell, apart from a 21st-place finish at the end of the 1991–92 season. A 2–1 win over Tranmere Rovers, and a win for Blackburn Rovers over Plymouth Argyle, meant United survived relegation by two points. Oxford, now in the renamed Football League Division One, briefly restored Maurice Evans as manager, before turning to Bristol City manager Denis Smith. Despite Smith's efforts, Oxford was relegated to Division Two at the end of the 1993–94 season, with just four wins in the last eleven games. Denis Smith brought in two strikers who were experienced in the top division: Southampton's Paul Moody and Nottingham Forest's Nigel Jemson. Oxford finished seventh in 1994–95 season, and in the following season gained promotion by finishing runners-up to rivals Swindon Town, despite not winning an away game till the end of January. Robin Herd, co-owner of the March Racing Team, took control of the club in 1995. In June of that year, the board of directors unveiled plans for a new 16,000-seat stadium at Minchery Farm, to replace the dilapidated Manor Ground. The club had hoped to move into the new stadium near the Blackbird Leys housing estate by the start of the 1998–99 season, but construction was suspended during the preceding season, because construction company Taylor Woodrow had not been paid for the work already undertaken. The 1996–97 season saw Oxford finish seventeenth, and included the sale of Scottish international defender Matt Elliott to Leicester City. Despite Smith's departure to West Bromwich Albion in December 1997, United finished twelfth the following season under his successor, and former captain, Malcolm Shotton. Shotton was previously the assistant manager of the Barnsley side that gained promotion to the Premier League. During October 1998, the backroom staff at the club went unpaid, due to United's financial situation with the new stadium, and the threat of administration caused a group of fans to set up a pressure group called Fighting for Oxford United's Life (FOUL). The group began to publicise the club's plight through a series of meetings and events, including a 'Scarf of Unity', which was a collection of scarfs from various clubs which was long enough to stretch around the perimeter of the pitch. Chairman Robin Herd stepped down to concentrate on his engineering projects, and in April 1999 Firoz Kassam bought Herd's 89.9% controlling interest in Oxford United for £1, with which he also inherited the club's estimated £15 million debt. Kassam reduced the £9 million of the debt to just £900,000, by virtue of a Company Voluntary Arrangement, by which unsecured creditors who were owed over £1,000 were reimbursed with 10p for every pound they were owed. Secured creditors were paid off when Kassam sold the Manor to another of his companies, for £6 million. Kassam set about completing the unfinished stadium, gaining planning permission for a bowling alley, multiplex cinema and hotel next to the stadium, following a series of legal battles which were eventually all settled. The season ended with relegation back to the Second Division. Oxford's poor form continued into the 1999–2000 season and, with the team in the relegation zone, Shotton resigned in late October. After a few months with Mickey Lewis as player-manager, former manager Denis Smith returned to the club, managing a twentieth-place finish, one place clear of relegation. Smith's second spell didn't last long, and he was replaced by David Kemp a few weeks into the following campaign. At the end of the 2000–01 season, Oxford were relegated back to the Third Division after a 35-year absence, with 100 goals conceded. They suffered 33 league defeats, the second-highest number of league defeats ever endured by a league club in a single season. Oxford began the next season with a new manager and a new stadium, with the relocation to the Kassam Stadium completed after six years of speculation. Former Liverpool and England defender Mark Wright was given the manager's job, but resigned in late November, after being accused of making racist remarks to referee Joe Ross. Wright's successor, Ian Atkins, was unable to make an immediate impact and Oxford finished in 21st position in the league, at the time their lowest-ever league position. United missed out on the play-off places the following season, by one place and one point. Fifteen wins at the start of the 2003–04 season saw Oxford top of the table at the end of January. However, Ian Atkins was sacked in March after agreeing to take charge at rivals Bristol Rovers. His replacement, Graham Rix, could only manage a ninth-place finish at the end of the season, and was sacked the following November. Oxford replaced him with Argentine Ramón Díaz, who managed the team to a mid-table finish. Diaz and his team of assistants left the club at the beginning of May 2005, after being banned from the ground by the chairman due to failed negotiations. During his time at the club, Diaz brought in a number of South American players including his own sons, and Juan Pablo Raponi. Ex-England midfielder and former West Bromwich Albion manager Brian Talbot signed a two-year contract to replace Rix. Talbot found little success and was sacked in March 2006, with the club in 22nd place. He was replaced by youth team coach Darren Patterson. On 21 March 2006, Firoz Kassam sold the club for approximately £2 million, including the club's debts, to Florida-based businessman Nick Merry, who had played for United's youth team in the mid-1970s. Merry immediately made changes to the club, including the hiring of former manager Jim Smith in his second spell. Despite signing five new players on his first day in charge, Smith was unable to prevent relegation at the end of the 2005–06 season. After 44 years in English league football, Oxford were relegated to the Conference National after finishing in 23rd place, becoming the first former winners of a major trophy to be relegated from the league. Coincidentally, Accrington Stanley, the side who went bankrupt in 1962 allowing United to be elected into the League, were one of the two teams promoted to replace them. Jim Smith was retained as manager for the following season, and it started positively for Oxford, with 14 wins and 8 draws from the opening 25 games. A run of eleven league games without a win followed, and saw United drop to second, where they remained until the end of the season. On Boxing Day 2006, a crowd of 11,065 watched United draw 0–0 with Woking at the Kassam Stadium, the largest-ever attendance for a Conference match (excluding play-offs). Oxford qualified for the play-offs by finishing second, but lost on penalties in the semi-final to Exeter City. 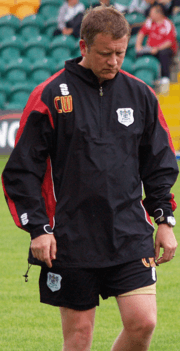 On 9 November 2007, Jim Smith resigned as manager and first-team coach Darren Patterson returned as manager. In a lacklustre season which included defeats to Droylsden and Tonbridge Angels, camouflaged by a belated run of eight wins in the last eleven games, Oxford finished 9th in the Conference National in 2007–08, 10 points off the last play-off place. On 2 October 2008, Nick Merry stepped down as chairman to be replaced by Kelvin Thomas, who had been part of the management team at the time of Merry's takeover. Just under two months later, Patterson was sacked after a poor run of form, and was replaced by former Halifax Town manager Chris Wilder. Following Wilder's arrival, the team won 15 of the remaining 21 league matches that season. A 5-point deduction for fielding an unregistered player resulted in a seventh-place finish, four points and two places short of the play-offs. Oxford led the table for most of the first half of the 2009–10 season, but dropped into the play-off places after a poor run of form, finishing third. They beat Rushden & Diamonds over two legs to advance to the play-off final against York City on 16 May 2010. Oxford won the final 3–1, to return to the Football League for the 2010–11 season. The attendance was 42,669, a new record for the final, with around 33,000 being United fans. Oxford's first game back in the Football League was away to Burton, which finished in a 0–0 draw; their first League win was on 4 September against Morecambe at the Kassam Stadium, with James Constable scoring a hat-trick in a 4–0 victory. They finished the season in 12th place. The team spent much of the 2011–12 season in or around the playoff places, and achieved the double over rivals (and eventual champions) Swindon Town for the first time since the 1973–74 season. However, they failed to win any of their last seven matches and finished the season in 9th place, two places and four points outside the play-offs. Chairman Kelvin Thomas stepped down during the 2012 close season, to be replaced by owner Ian Lenagan. The 2012–13 season was blighted by injuries and patchy form: after opening the season with three wins and briefly heading the table, United lost their next six games, a pattern of inconsistency that was to continue throughout the season. United finished outside the play-offs for the third consecutive season, but manager Chris Wilder was given a further one-year contract in April 2013. Some Oxford fans were unhappy about the decision to renew Wilder's contract, having pressed for his sacking during the second half of the 2012–13 season. After another bright start, Oxford led the table several times in the first half of the 2013–14 season. On 25 January 2014, with the club faltering though still in the play-off places, Wilder resigned as manager to take up the reins at relegation-threatened Northampton. Mickey Lewis subsequently became the caretaker manager for a second time for the club. On 22 March 2014, Gary Waddock was appointed the head coach of the club after a lengthy interview process, leaving his job as Head of Coaching at MK Dons. Under Lewis and Waddock, Oxford slipped out of the play-off places in the final few weeks of the season, finishing a disappointing eighth in the table, nine points off the last playoff place. In July 2014, Waddock's contract was terminated after a change of ownership and he was replaced by Michael Appleton. Waddock's surprise sacking ensured he had the worst record of any Oxford manager, winning only once and losing seven times in his eight games in charge of the club. After an indifferent first season under Appleton, Oxford achieved promotion to League One in his second year in charge, finishing the 2015–16 season in 2nd place with 86 points. Oxford United had no regular home until 1913, switching between the Quarry Recreation Ground, Wootten's Field, Sandy Lane and Britannia Field, all in Headington. In 1913 they were able to purchase Wootten's Field on London Road, however, this was redeveloped in 1920 before a stadium could be built. Having purchased the Sandy Lane site, the club developed and played at the Manor Ground between 1925 and 2001. The ground was originally shared with Headington Cricket Club until 1949, when they moved to Cowley Barracks. The capacity at closure was 9,500, but hosted United's record crowd of 22,750 against Preston North End in an FA Cup sixth-round match on 29 February 1964. The four stands were named after the roads they were positioned on: The North, East, South and West stands were called Cuckoo Lane, Osler Road, London Road and Beech Road respectively. In the 1990s, the Taylor Report was published calling for the improvement of football stadiums. The Manor Ground's terracing was becoming redundant and redeveloping the ground was too costly, so the club decided to move to a purpose-built all-seater stadium on the outskirts of the city, costing in the region of £15 million. Construction work began in the early part of 1997, but was suspended later that year due to the club's financial problems. Construction of the new stadium resumed in 1999 following a takeover deal and the last league match at the Manor on 1 May 2001 saw a 1–1 draw with Port Vale. The site was sold for £12 million and the stadium was later demolished. The land is now occupied by a private hospital. Since 2001, Oxford United have played at the Kassam Stadium. The all-seater stadium has a capacity of 12,500 and has only three stands instead of the usual four; when first planned in 1995 it was originally going to have a 16,000-seat capacity, but by the time the stadium opened Oxford was playing in a lower division, so the smaller capacity was deemed adequate. Construction of the fourth stand is not expected to take place for several years, although foundations have already been put in place. The record attendance is 12,243, which was achieved in the final game of the 2005–06 season, when a defeat against Leyton Orient condemned them to relegation from the Football League. The average attendance in the previous season was 7,415, which was the second highest in League Two and the thirty-fourth highest in the whole Football League. The average attendance was highest in the Conference in two out of the four years the team spent in the division, with the average in the other two years placing second, behind Exeter City and Cambridge United respectively. The stadium has also hosted rugby union matches, a woman's international football match (England v Sweden), an Under-17 international football tournament and music concerts. The club crest depicts an ox above a representation of a ford to symbolise the location. It reflects the name and history of the city, as Oxford was originally a market town situated near to a ford on the River Isis, which was used by cattle. In 2008, a bronze statue of an ox was unveiled outside of what would have been the west stand. It was subsequently vandalised in January 2011, being covered in pink paint and the club used the opportunity to raise money for a breast cancer charity. The shape and design of the crest has changed numerous times since it was first produced. 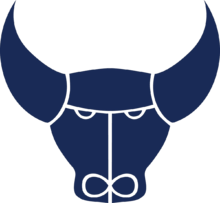 When playing as Headington and during the early years of Oxford United, the crest included a full ox crossing the ford, as well as the initials H.U.F.C. (pre-1962) or the name Oxford United (post name-change). Between 1972 and 1980, the crest became circular, showing just the ox's head on a yellow and black background. The words 'Oxford United Football Club' were placed around the ox. For the next 17 years, the crest was simply the ox's head coloured blue, with various combinations of wording surrounding it. For example, in the 1987–88 season, the wording 25th Anniversary was placed under the crest. In 1996, the crest had a shield shape and contained the ox's head over the ford, on a yellow background. This version was retained until the move to the Kassam Stadium in 2001, when club steward Rob Alderman designed the current version. It has a similar design to the preceding crest, but the ox and ford are contained in a circle with a yellow background, with the remainder of the crest being coloured blue. While playing as Headington United, orange and blue striped shirts were worn with navy shorts and socks. The design of the shirt changed regularly, with the stripes being changed every few seasons. After joining the Southern League, the blue stripes were lost for good and a lighter shade of orange was used for the shirt. The yellow kit was first worn during the 1957–58 season, with black shorts and yellow socks. During the late 1970s and early 1980s, the black shorts were first replaced with yellow ones, and then with light blue shorts. Since the early 1990s, the strip has been composed of the yellow shirt and navy coloured shorts and socks. A large variety of away kits has been used over the years, ranging from red and black stripes on the shirts, to a fully white kit. The first sponsor to appear on the shirt was Sunday Journal, a local newspaper, in 1982. Between 1983 and 1985, there were three sponsors: BPCC, Pergamon and the Sunday People. Following those were Wang Laboratories (1985 to 1989), Pergamon (1989 to 1991), Unipart (1991 to 2000), Domino (2000 to 2001) and Buildbase (from the move to the Kassam Stadium in 2001 to 2010). Following the return to the Football League, Bridle Insurance were announced as new shirt sponsors. The Bridle deal ended after the conclusion of the 2012–13 season. The home sponsor for the 2013–14 season was announced as Animalates, with the away kit being sponsored by Isinglass Consulting for that same season after winning an innovative prize draw. That one-year deal with Isinglass was extended for the 2014–15 season, again featuring on the away kits only. Oxford's average league attendances since 1963. Note the grey vertical line indicates the club's move to the Kassam Stadium, and the coloured sections of the horizontal line indicates the club's position within the Football League (dark green being level 1 and red being level 5). Oxford have a number of independent supporters' clubs and groups such as OxVox (the Oxford United Supporters' Trust) with a current membership of over 400, and the Oxford United Exiles. OxVox was formed in 2002, to replace the disbanded FOUL group, which broke up after the immediate future of the club was secured. It was the fiftieth supporters trust created under the Supporters' trust banner. The club itself also runs a Juniors club, aimed at younger fans and offering a number of bonuses to the club's members such as birthday cards and a free T-shirt. The official matchday programme for home games costs £3 and was voted best Conference Premier Programme of the Year for the 2007–08 season. A number of songs are sung during home games, such as "Yellow Submarine" (with adapted lyrics) and songs relating to the old Manor Ground. The club have a number of celebrity supporters, including Richard Branson, Timmy Mallett, Tim Henman and Jim Rosenthal. The club's mascot is Ollie the Ox. United were the best-supported club in the Conference National before Luton Town joined the division. The home match between Oxford and Luton, which drew a crowd of 10,600, was used to highlight the passion for English football during the 2018 World Cup bid. In 2009, a "12th man fund" was set up by a group of supporters in order to provide additional transfer funds to the club. As a result, the number 12 shirt was retired at the start of the 2009–10 season. The fund raised over £40,000 and resulted in the signings of Mehdi Kerrouche (on loan) and Jamie Cook, amongst others. Oxford's main rivals are Swindon Town, with Reading seen as the other rival team. To a lesser extent, Wycombe Wanderers and Luton Town are also seen as rivals. The rivalry with Swindon stems from the clubs' close proximity, as well as the fact they have played each other 55 times since 1962. Oxford (Headington) and Swindon met a few times in non-competitive fixtures before 1962. The earliest match on record was a friendly in the 1950–51 season at Headington. They also played each other in 1954–55 both home and away, and at Headington during 1958–59. All programmes are fairly scarce, with the single sheet issued at Swindon being very rare. The 1962–63 game was a testimonial, with the first league meetings coming in 1965–66. During the height of football hooliganism, trouble flared up between the sets of fans. In 1998, 19 Swindon supporters were arrested during a match at the County Ground, while in 2002 there was an incident between supporters after Oxford fans returned from an away fixture. In 2011, vandals burned the initials STFC into the Kassam Stadium's pitch. Oxford fans use nicknames when talking about Swindon such as moonraker, in reference to the myth that they tried to rake the reflection of the moon out of a pond. The rivalry with Reading was heightened during the chairmanship of Robert Maxwell, because of his desire to merge the two clubs. This was met with strong opposition from both sets of fans, with United supporters staging a "sit-in" on the pitch before a game against Wigan in protest. Despite being the second team in the city, there is less rivalry with Oxford City because of their lower position in the pyramid system (there have been no competitive matches between the two since 1959). As of 25 August 2016. Jim Smith has had three spells as manager. The first manager appointed was Harry Thompson in July 1949, soon after the club turned professional. In a nine-year spell he led the team to the Southern League title in 1953, as well as the Southern League Cup in 1953 and 1954. He was replaced by Arthur Turner in 1958, who would become the longest-serving manager in the club's history, serving more than a decade in charge. Turner led United to back-to-back Southern League titles, of which the second, in 1962, resulted in their election to the Football League. Promotion followed from the Fourth Division in 1965, and the club were crowned Third Division champions three years later. Turner left the club nine months after this success. Over the next thirteen years, five managers took charge. Ron Saunders was in charge for only a dozen games, moving to Norwich City at the end of the 1968–69 season. Gerry Summers was manager for six years, before being replaced by Mick Brown. During Brown's four-year run, United were relegated back to the Third Division after spending eight years in the Second. Jim Smith started his first spell as manager in 1981, and led Oxford into the top tier of English football after consecutive promotions as champions in 1984 and 1985. However, he moved to Queens Park Rangers before the 1985–86 season. New manager, former chief scout Maurice Evans, had immediate success winning the 1986 League Cup, beating his predecessor's new club in the final. For the next 24 years, the only manager to guide the club to promotion was Denis Smith, who won promotion from the Second Division in 1996. Ramón Díaz, the club's first and only non-British manager, took charge for five months between December 2004 and May 2005. Jim Smith returned as manager in 2006, the year that Oxford United were relegated to the Football Conference after 44 years in the Football League. Having missed out on promotion in the 2006–07 season, Smith resigned and Darren Patterson was promoted to the post on 9 November 2007. Patterson was sacked over a year later and was replaced by Chris Wilder, who lead the club back into the Football League by winning the 2010 Conference playoff Final and remained with the club for five years before resigning in January 2014. Gary Waddock was appointed head coach on 22 March 2014, but was sacked on 4 July 2014 following a change of shareholding in the club, to be replaced by Michael Appleton. Since turning professional, the club has had 23 full-time managers, of whom three (Jim Smith, Denis Smith and Darren Patterson) have had more than one spell in the post, and nine periods of caretaker-management. For more details on this topic, see List of Oxford United F.C. seasons. The largest recorded home attendance was during a match against Preston North End in the sixth round of the FA Cup, at the Manor Ground, on 29 February 1964. The attendance was 22,750, which exceeded the stadium's capacity, so scaffolding was needed in order to create temporary stands for the additional supporters. The largest attendance at the Kassam Stadium for a football match was 12,243 during the final game of the 2005–06 League Two season against Leyton Orient. Oxford's largest-ever scoreline was a 9–1 win in the FA Cup first round versus Dorchester Town on 11 November 1995. In the league, their largest win was 7–0 versus Barrow in Division Four. Their largest defeat was 7–0 away to Sunderland in 1998. Their longest unbeaten run in the league was 20 matches in 1984. 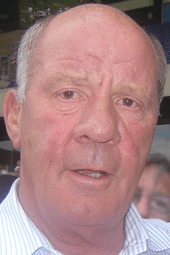 John Shuker holds the record for the most league appearances with 478 between 1962 and 1977. John Aldridge holds the record for most league goals scored in a season in the 1984–85 season, scoring 30. Graham Atkinson holds the record for the most league goals with 97, as well as most overall goals with 107. The most capped player in internationals is Jim Magilton, with 18 caps for Northern Ireland. The largest amount of money Oxford have received by selling a player was an estimated £3,000,000 for Kemar Roofe's transfer to Leeds United in July 2016. The largest transfer fee Oxford have paid was £470,000 for Dean Windass' transfer from Aberdeen in August 1998. Oxford are also the only team in history to be promoted consecutively from Division Three to the First Division as Champions. Bickerton, Bob (1998). 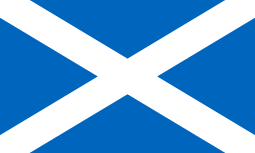 Club Colours. Hamlyn. ISBN 0-600-59542-0. Howland, Andy and Roger (1989). Oxford United: A Complete Record (1893–1989). Breedon Books. ISBN 0-907969-52-6. Brodetsky, Martin (2009). Oxford United: The Complete Record. Breedon Books. ISBN 978-1-85983-715-3. 1 2 3 4 5 6 7 8 Brodetsky, Martin; Brunt, Heather; Williams, Chris; Crabtree, David. "A history of Oxford United Football Club". Oxford United. Retrieved 11 September 2007. ↑ "Lundstram Named as Oxford Captain". Oxford United F.C. 12 July 2016. Retrieved 12 July 2016. 1 2 3 4 Jenkins, Stephanie. "Headington United History". Headington.org. Retrieved 26 October 2007. ↑ The Official 1986 Milk Cup Final Programme, p.19. 1 2 3 4 5 "Oxford United". historicalkits. Retrieved 31 January 2009. 1 2 "1961/1962 Fourth Division Table". Football Club History Database. Retrieved 13 September 2007. ↑ "1962/1963 Fourth Division Table". Football Club History Database. Retrieved 13 September 2007. ↑ "1963/1964 Fourth Division Table". Football Club History Database. Retrieved 13 September 2007. ↑ "1964/1965 Fourth Division Table". Football Club History Database. Retrieved 13 September 2007. ↑ Porter, Steve. "Oxford United 3-1 Blackburn Rovers". www.thegiantkillers.co.uk. Retrieved 2 May 2016. ↑ "1967/1968 Fourth Division Table". Football Club History Database. Retrieved 13 September 2007. 1 2 "1975/1976 Fourth Division Table". Football Club History Database. Retrieved 13 September 2007. ↑ "Reading FC history". BBC. Retrieved 31 January 2009. 1 2 "1983/1984 Third Division Table". Football Club History Database. Retrieved 13 September 2007. ↑ "1984/1985 Second Division Table". Football Club History Database. Retrieved 13 September 2007. 1 2 "A Potted History of QPR (1882–2011)". Queens Park Rangers. Retrieved 29 March 2008. ↑ "1985/1986 Third Division Table". Football Club History Database. Retrieved 13 September 2007. ↑ "England League Cup Full Results 1960–1996". The Rec.Sport.Soccer Statistics Foundation. Retrieved 12 September 2007. ↑ "Football's Top 10 forgotten trophies: Milk Cup, Littlewoods Cup, Cannon League trophy and more". talkSPORT. UTV Media (GB). Retrieved 31 March 2012. ↑ "1993/1994 Division One Table". Football Club History Database. Retrieved 13 September 2007. ↑ Conn, David (29 March 2006). "History repeats itself at Oxford United". The Guardian. London: Guardian Media Group. Retrieved 25 January 2009. ↑ "1999/2000 Division Two Table". Football Club History Database. Retrieved 13 September 2007. ↑ "2000/2001 Division Two Table". Football Club History Database. Retrieved 13 September 2007. ↑ "League Records – Defeats". The Football League. Retrieved 4 February 2009. ↑ Tallentire, Mark (1 December 2001). "Wright resigns as Oxford manager". The Guardian. Guardian Media Group. Retrieved 28 February 2012. ↑ "2001/2002 Division Two Table". Football Club History Database. Retrieved 13 September 2007. ↑ "2002/2003 Division Two Table". Football Club History Database. Retrieved 13 September 2007. ↑ "McCarthy keen to keep playing". BBC Sport. 30 November 2003. Retrieved 4 February 2009. ↑ "Argentine Diaz leaves Oxford helm". BBC Sport. 4 May 2005. Retrieved 31 January 2009. ↑ "Talbot axed". Oxford Mail. Newsquest Media Group. Retrieved 31 January 2009. ↑ "Merry completes Oxford takeover". BBC Sport. 22 March 2006. Retrieved 31 January 2009. ↑ "Meet Oxford Utd's new owner, Nick Merry". Oxford Mail. Newsquest Media Group. Retrieved 31 January 2009. ↑ "2005/2006 Division Two Table". Football Club History Database. Retrieved 13 September 2007. ↑ "The Other Side: Oxford United". Cambridge United. Retrieved 31 January 2009. ↑ "Oxford vs Woking". Oxford United. Retrieved 31 January 2009. 1 2 "Oxford United F.C". Football Club History Database. Retrieved 13 September 2007. 1 2 "Smith steps down as Oxford boss". BBC Sport. 9 November 2007. Retrieved 9 November 2007. ↑ "Fixtures for 2007/08 (Conference)". Rage Online. Retrieved 25 April 2013. ↑ Sky Sports Football Yearbook 2007–2008. Glenda Rollin & Jack Rollin (eds.). Headline, 2008. ↑ "Merry resigns as Oxford chairman". BBC Sport. 2 October 2008. Retrieved 31 January 2009. 1 2 "Wilder is new Oxford United boss". BBC Sport. 21 December 2008. Retrieved 21 December 2008. ↑ "Oxford United results 2008–09". Oxford United official website. 3 April 2009. Retrieved 3 April 2009. ↑ "Five-point deduction for Oxford". BBC Sport. 1 December 2009. Retrieved 3 April 2009. ↑ "Oxford United 2–0 Rushden & Diamonds (agg 3–1)". BBC Sport. 3 May 2010. Retrieved 31 March 2012. ↑ Marshall, Steve (16 May 2010). "Oxford United 3–1 York City". [BBC Sport]. Retrieved 18 May 2010. ↑ Murray, Jon (16 May 2010). "Oxford Utd 3 (M Green 15, Constable 21, Potter 90), York City 1 (Clarke og 42)". Oxford Mail. Retrieved 18 May 2010. ↑ "Burton Albion 0 – 0 Oxford Utd". BBC Sport. 7 August 2010. Retrieved 14 September 2012. ↑ "Oxford Utd 4–0 Morecambe". BBC Sport. 4 September 2010. Retrieved 6 September 2010. ↑ "Npower Football League 2 Table". BBC Sport. 12 May 2011. Retrieved 7 May 2011. ↑ & Nabil Hassan, Sam Lee (2 March 2012). "Oxford United v Swindon Town rivalry explained". [BBC Sport]. Retrieved 2 March 2012. ↑ "Swindon 1–2 Oxford Utd". [BBC Sport]. 21 September 2011. Retrieved 21 September 2011. ↑ Chapman, Caroline (3 March 2012). "Oxford United 2–0 Swindon". [BBC Sport]. Retrieved 3 March 2012. ↑ "Oxford United 2011–2012". statto.com. Retrieved 18 May 2012. ↑ "Oxford United chairman Kelvin Thomas to leave role". 13 July 2012. Retrieved 16 August 2012. ↑ "Chris Wilder signs new Oxford United deal". BBC Sport. 25 April 2013. Retrieved 25 April 2013. ↑ "Gary Waddock named Oxford United head coach". BBC Sport. 22 March 2014. Retrieved 22 March 2014. 1 2 "Oxford United: Michael Appleton named head coach in shake-up". BBC Sport. 4 July 2014. Retrieved 4 July 2014. 1 2 "Thousands celebrate as Oxford United secure promotion to League One after beating Wycombe Wanderers". Oxford Mail. 7 May 2016. Retrieved 7 May 2016. ↑ Spencer, Nick (16 August 2001). "Off the ball: Premiership hopefuls on the move". The Daily Telegraph. London: Telegraph. Retrieved 31 January 2009. ↑ Ashdown, John (9 December 2009). "What happens when clubs leave their old grounds?". The Guardian. London Guardian Media Group. Retrieved 31 March 2012. ↑ "Ground of the Week: Kassam Stadium". BBC. 11 February 2008. Retrieved 4 February 2009. ↑ Adams, Duncan (2004). The Essential Football Fan: The Definitive Guide to Premier and Football League Grounds. Aesculus Press Limited. p. 194. ISBN 1-904328-15-6. ↑ "Football League Attendance Report–Season 2010–11" (PDF). Football League. Retrieved 27 February 2012. ↑ "English Conference Stats: Team Attendance–2008–09". ESPN. Retrieved 27 February 2012. ↑ "Elton John Gig". BBC News. 2 June 2006. Retrieved 18 November 2007. 1 2 "Oxford United Crest". Football Crests. Retrieved 18 November 2007. ↑ "Oxford Sculpture Finally Unveiled". BBC Sport. 29 February 2008. Retrieved 24 January 2011. ↑ "Oxford United's ox statue daubed in bright pink paint". BBC News. 24 January 2011. Retrieved 19 December 2014. ↑ "United's pink bull to raise money for breast cancer fight". Oxford Mail. 25 January 2011. Retrieved 19 December 2014. ↑ "Buildbase backs the Us". Oxford United. Retrieved 25 January 2009. ↑ "United take the Bridle path". Oxford United. 6 July 2010. Retrieved 24 January 2011. ↑ "Oxvox Homepage". Oxvox.org.uk. Retrieved 23 August 2007. ↑ "Oxford Exiles". Ouexiles.org.uk. Retrieved 23 March 2012. ↑ "Join the Juniors". Oxford United. Retrieved 13 January 2009. ↑ "Matchday Programme". Oxford United. Retrieved 27 January 2009. ↑ "Branson: Why it's no to United". The Oxford Times. Newsquest Media Group. Retrieved 27 January 2009. ↑ Goodhart, Benjie (28 May 2008). "Oxford spy light through the non-league gloom". The Guardian. London: Guardian Media Group. Retrieved 27 January 2009. ↑ "Tim Henman". ATP Tour. Retrieved 27 February 2012. ↑ "Oxford United fan Jim Rosenthal backs 12th man wristband campaign". Oxford Mail. 16 November 2009. Retrieved 27 February 2012. ↑ "Oxford United mascot gets behind wristband push". Oxford Mail. 19 November 2009. Retrieved 27 February 2012. ↑ "Conference National 2006/07". tonykempster.co.uk. Retrieved 13 January 2009. ↑ "Conference National 2007/08". tonykempster.co.uk. Retrieved 13 January 2009. ↑ "Oxford gate used to back 2018 bid". BBC Sport. 8 October 2009. Retrieved 9 October 2009. ↑ "Oxford United's 12th man repays fans with wonder goal". Daily Mirror. Trinity Mirror. 18 September 2009. Retrieved 27 February 2012. ↑ "Oxford United's 12th man". Hello Design. Retrieved 27 February 2012. ↑ "Not so Beautiful". thisiswiltshire.co.uk. Newsquest Media Group. Retrieved 27 January 2009. ↑ "Hooligans – Oxford United". BBC. Retrieved 27 January 2009. ↑ "Vandals burn 'STFC' into Oxford's Kassam Stadium pitch". BBC News. 15 August 2011. Retrieved 24 February 2012. ↑ "Rivalry Uncovered! (page 9)" (PDF). The Football Fans Census. Retrieved 11 April 2007. 1 2 "Change of Chairman and Manager". Oxford United F.C. Retrieved 13 July 2014. 1 2 "Oxford United announce two additions to the club's board". Oxford Mail. Retrieved 16 July 2014. 1 2 3 4 5 6 7 "Contact us". Oxford United F.C. 23 August 2013. Retrieved 21 November 2013. ↑ "Staff Profiles". Oxford United F.C. Retrieved 21 November 2013. ↑ "Andrew Proctor joins Oxford United as Physio". Oxford United F.C. Retrieved 26 June 2014. 1 2 Andy Howland. "Past Managers". Oxford Mail. Newsquest Media Group. Retrieved 8 March 2012. ↑ Andy Howland. "Famous Matches – QPR 1986". Oxford Mail. Retrieved 8 March 2012. 1 2 "1995/96 Division Two Table". Football Club History Database. Retrieved 4 February 2009. ↑ "Club History". The Oxford Times. Newsquest Media Group. Archived from the original on 23 February 2008. Retrieved 18 November 2007. ↑ "Oxford United all time records". Soccerbase. Retrieved 25 January 2009. ↑ "Past Players". Oxford Mail. Newsquest Media Group. Retrieved 22 December 2010. ↑ "Leeds United: Oxford United's Kemar Roofe and Swansea City's Matt Grimes join club". BBC Sport. 6 July 2016. Retrieved 6 July 2016. Williams, Chris (2006). Lords of the Manor. Howland, A and R (2001). Oxford United: The Headington Years. Marlow: Perfitt-Bayliss. ISBN 0-9541797-0-6. Swann, Geron; Ward, Andrew (1996). The Boys from up the Hill: An Oral History of Oxford United. Oxford: Crowberry. ISBN 0-9507568-2-2. Morris, Desmond (1981). The Soccer Tribe. London: Jonathan Cape. ISBN 0-224-01935-X. Wikimedia Commons has media related to Oxford United F.C..